The History channel’s original drama television series – Vikings – is one of my favorite programs. The world of the Vikings is brought to life through the journey of Ragnar Lodbrok, the first Viking to emerge from Norse legend, and his family members. The television series transports viewers to the mysterious world of Viking farmers and warriors and their journeys throughout the world. In the modern-era, as the Washington Post notes, Scandinavian countries have become known for their sometimes awkward embrace of migrants from the “Muslim world.” But the history behind that relationship goes back far further than many people might expect, as this post explores. Historical sources tell us that a fleet of Viking ships raided the Carolingian Empire (800-888) after sailing along the coasts of Bay of Biscay in Northern Spain. There they raided a few settlements before encountering a large force of Asturians under the command of King Ramiro I (790-850). The Vikings are said to have created a base there, though the location of the base is still a mystery. Years later, under the reign of Abd ar-Rahman II (822-852), Viking ships sailed up the Guadalquivir River to attack Seville, a main city of Al-Andalus. 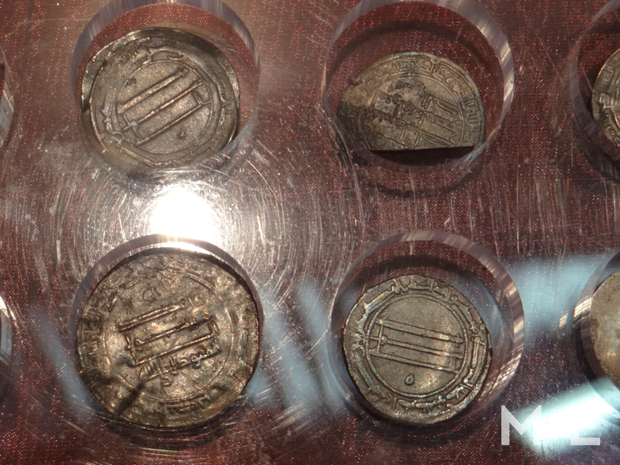 In Seville, the Vikings looted and captured prisoners to be sold off as slaves. Before sacking Seville, the Vikings sacked Cadiz, Lisbon and Medina Sidonia. The 15,000 person Viking force reportedly held the city of Seville for about one month before being defeated by Abd al-Rahman II. Following the Vikings’ retreat, Al-Rahman established a navy, the first of its kind in Al-Andalus, and sent diplomats to start peace talks with the Vikings. The Andalusian diplomatic mission was led by the renowned poet, Al-Ghazali, who had earlier been sent as a diplomat from Umayyad Cordoba to the Byzantine Emperor Theophilus (829-842). Al-Ghazili allegedly brought gifts for the Viking king, but the gesture did not have its intended impact. The Vikings returned to attack the Iberian peninsula in 859. 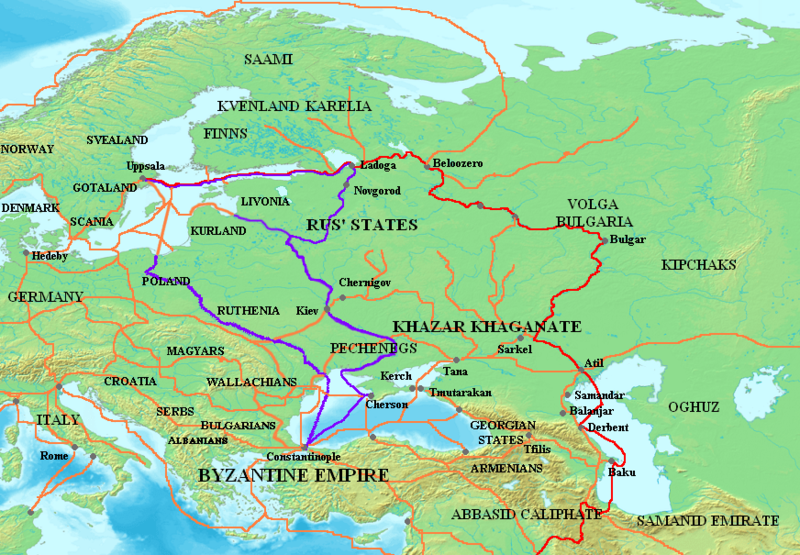 One of the earliest detailed descriptions of Northern Europe is reported by a Muslim named Ahmad Ibn Fadlan, a 9th/10th century Arab traveler and member of the diplomatic mission of the Abbasid Caliph Al-Muqtadir of Baghdad. Fadlan is famous for his meeting with a “strange race” he called the “Rusiyyah,” now commonly known as Vikings. Ibn Fadlan’s experience is documented in Risala. He met the warriors around 921/922 as they travelled across the Russian steppes, sailing their longships down the Volga river and looking to trade with the Arab world. Similarly to Muslim merchants throughout history, Vikings were interested in trading and collecting commodities such as silver, furs, honey, leather, ivory and fish. 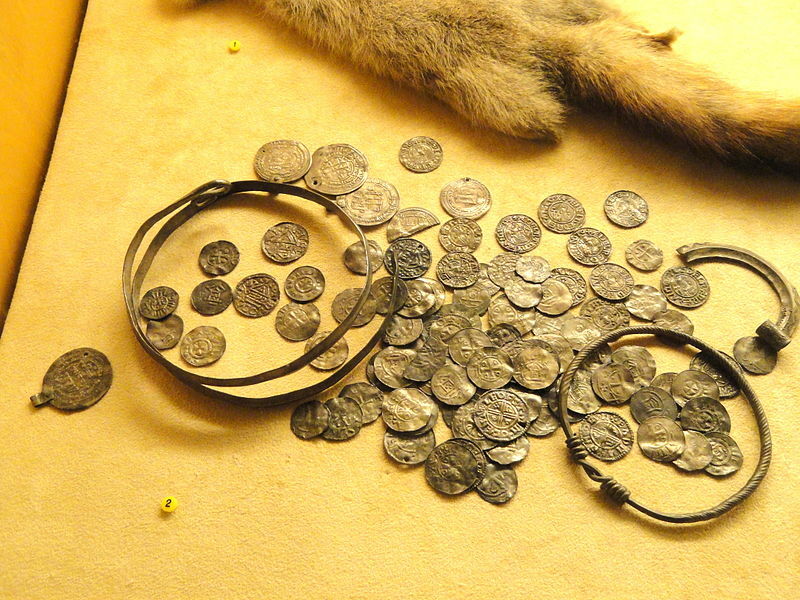 According to Thomas S. Noonan’s book Supply-Side Sustainability, “Viking traders brought Abbasid silver coins in great quantities to Scandinavia; thousands have been found in Russia and the Baltic.” Noonan also highlights that it was a cache of dirhams (coins in Arabic) “that helped fuel the Viking Age.” He claims the dirham to be of such power that it was used as the common currency in Viking cities like York, England and Dublin, Ireland in the 10th and 12th centuries. Scholars in Baghdad and other Muslim majority lands, as Ghazanfar discussed, had also given the Vikings a reputation of being “merchant warriors whose primary focus was on trades.” Hugh Kennedy, author of Muslim Spain and Portugal: A Political History of Al-Andalus, wrote that Vikings are said to have converted to Islam and established settlements in southeast Seville, where they became well-known cheese traders. The conversion of Vikings to Islam is a topic touched upon by the 16th century Muslim geographer, Amin Razi, who stated that: “… [The Vikings] highly valued pork. Even those who had converted to Islam aspired to it and were very fond of pork.” These Viking Muslim communities would become known for supplying cheese to Spanish cities including Cordoba and Seville. According to historian Jonathan Clements, the Vikings left the Muslim world alone after the 1041 expedition of Ingvar the Far-Travelled, who was defeated in the Caucasus. After the defeat, the Vikings preferred instead to serve as mercenaries, or trade in valuable commodities such as slaves. Researchers in Sweden have recently found Arabic Kufic script woven into clothing from Viking boat graves dating to the 9th and 10th century. The patterns woven with silk and silver thread spell the words “Allah” and “Ali,” the BBC notes. The discovery was made by archaeologist Annika Larsson of Uppsala University. Larsson has also found the names “Allah” and “Ali” on at least 10 of the nearly 100 pieces of fabric she examined, and they always appear together. She became interested in the forgotten fragments after realizing the material had come from Central Asia, Persia and China. The discovery raises new questions about the historic place of Islam in Scandinavia. Another major breakthrough came several years ago when researchers found a female tomb revealed at the historic trading center of Birka, Sweden. The tomb had a silver ring with the phrase “for Allah” inscribed on it. The woman in the grave, who died in the 9th century, was discovered by Swedish archaeologist Hjalmar Stolpe, who spent years excavating the Birka grave sites. The inscription on the ring was also written in Kufic, which was well renowned in the 8th to 10th centuries. 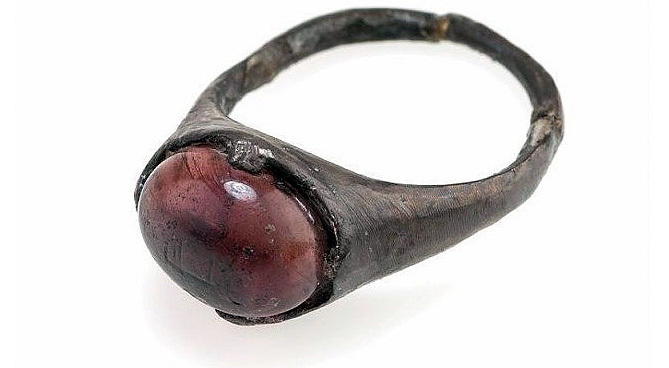 The word on the ring reads “il-La-La” which means “for” or “to Allah.” Though the attire of the woman in the grave seems to be traditionally Scandinavian, her decomposed body made it hard for archaeologists to determine her ethnicity. The ring could have been war spoil or a gift. Others have speculated that the Viking woman might have been a convert to Islam. In the journal Scanning, researchers recount how they used a scanning electron microscope to investigate the origins of the ring. As the Washington Post notes, the researchers discovered that the stone in the ring is actually colored glass – at the time an exotic material for the Vikings, though it had been made for thousands of years in the Middle East and North Africa. Researchers have also claimed that the appearance of the ring in Birka shows direct contact between Viking society and the Abbasid Caliphate the once dominated much of the Middle East and North Africa. The Viking and Muslim interactions between the 9th and 12th centuries have been pushed to the margins of modern histories. There is a period, as Salim T. S. Al-Hassani notes, of 1,000 years missing from Western educational systems. “Almost in every subject taught in school, there exists a jump from the Greeks to the Renaissance, usually referred to as the ‘Dark Ages. '” The amnesia, he continues, “affects the minds of present and future generations and distorts their attitudes and perceptions of the role of other cultures, particularly Muslim, in building the present civilization.” It should be noted, however, that both the Vikings and Muslims had interacted with civilizations and gained knowledge from these interactions. While there is no cut-and-dry declaration that Vikings were actually Muslims, there is evidence that some likely were. At the very least, the Vikings appreciated Islamic culture, and did their best to incorporate it into the fabric of their societies.